God loves you and so do I. I hope to have the opportunity to get to know you personally and to welcome you in the name of our Lord Jesus. We are blessed in Boardman and we invite you to come and share in God’s blessings. I graduated from Trinity Lutheran Seminary in Columbus Ohio and was ordained in 1981. I thoroughly enjoyed serving two different 2-point parishes in South Dakota. In 1991 our family moved to a 3 ½ acre property in Springfield Township and I began serving as pastor of Good Hope. While in South Dakota our three children were born and my wife Nina owned and ran a music studio with 65 piano students. Now Nina works at Youngstown State University and serves as one of Good Hope’s organists. Our children grew up here, are now married, moved away, and have given us four grandchildren with whom we enjoy spending time. We also enjoy adventures, reading, flowers, and spending time in the Rocky Mountains. We love trout fishing, hunting and other outdoor activities, but our greatest passion in life is sharing the love our heavenly Father has for us and for all people. 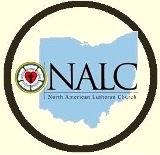 As the pastor of Good Hope, I am especially excited about our participation in the NALC pilot program on Discipleship. One of the core values of the NALC is to be mission driven. Our only mission is the Great Commission – to go make disciples. At Good Hope we define a disciple as “a follower of Jesus who is maturing and multiplying.” I look forward to helping you grow in your relationship with the Lord and in His call to make disciples. 3 For I am the Lord your God, the Holy One of Israel, your Savior…. 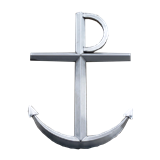 Pastor’s Blog – join Pastor Bob in his daily “Appointment with God”. Each week Pastor Bob will post some of what he hears as he listens to the Shepherd’s Voice in the word.